The K-12 segment was created over seven years ago by Peter Bergman, Director of School Foodservice. Our focus with this new segment was and is to grow our existing principals’ lines as well as add value to the school lunch program. We have committed core personnel to this area and have focused on establishing relationships with Food Service Directors. Our goal is to grow and maintain long term relationships in this thriving industry. Our team covers three states; Illinois, Wisconsin, and Indiana. We call and work directly with over 1,000 Food Service Directors across this region. We have also established a working database of over 1,000 Food Service Directors in which we utilize our E-Blast marketing tool. We have successfully distributed a wealth of information through this tool and continue to produce results. We are developing a Menu Installation that pairs our principals products together. This includes selected items that qualify with the updated regulations and standards. 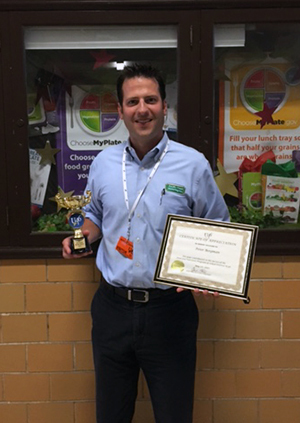 Peter Bergman received an award for Excellence in Service within the K-12 Food Service Industry. 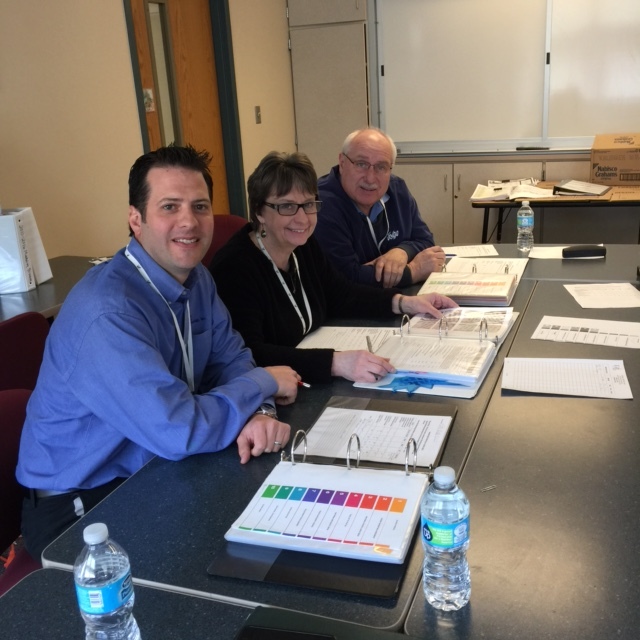 Judging Youth Advisory Council Binders for Elgin U-46!